For every woman treated for her obstetric fistula, 50 more wait. Millions of women in low-resource countries give birth without access to medical help. If a woman’s labor becomes obstructed, she could remain in excruciating pain for days before her baby is finally dislodged. Her baby likely dies and she is often left with an obstetric fistula, a small hole created by constant pressure from the fetus, which renders her incontinent. Too often, a woman with fistula is then rejected by her husband and pushed out of her village due to her foul smell. We have to change this. 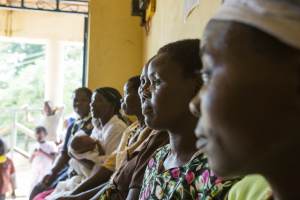 Every woman should have access to life-changing fistula surgery. Add your name if you agree. You will receive e-mail updates from Fistula Foundation. You can unsubscribe at any time.